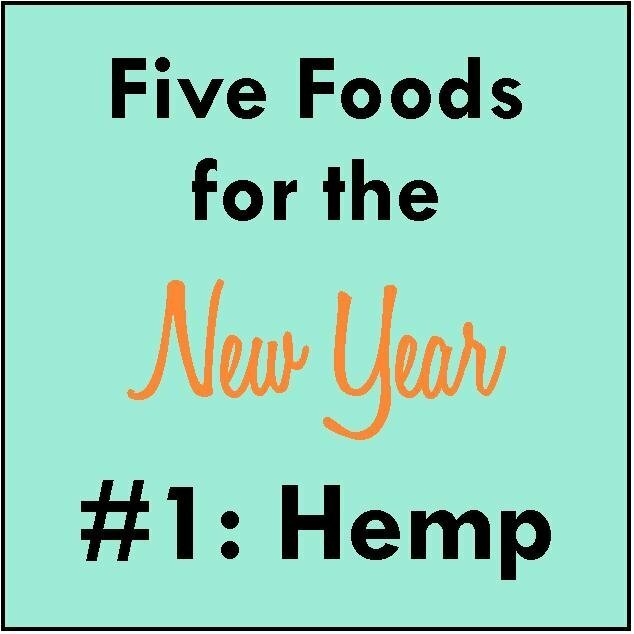 Hemp has quite quickly become one of the “it foods” recently. The portion of this type of cannabis plant used in foods is the seed. The varieties of cannabis plant typically used for growing hemp foods are high growing and have little to no THC (tetrahydrocannibinol), CBD (cannabidiol), and other cannibinoids. This is not to say that there is no value or worth in these hemp seeds. Only that this form is a cousin, so to speak, of the commonly known cannabis plant, marijuana which is an herb known for it’s higher THC and CBD content (https://en.wikipedia.org/wiki/Hemp). Hemp seeds used in commercially available foods have no psychotropic effect whatsoever and are no more a “drug” than any other readily available natural food on the market. The hemp seed is very high in protein, magnesium, zinc, iron, dietary fiber, and essential fatty acids which is why it has become very popular in the health foods sector. In fact it is often considered a “super food.” Hemp seeds are often eaten on their own. The shelled hemp seed (commonly called hemp hearts) is a great topping on salads. The seeds are also added to smoothies for the added nutrient boost and a great source of protein. 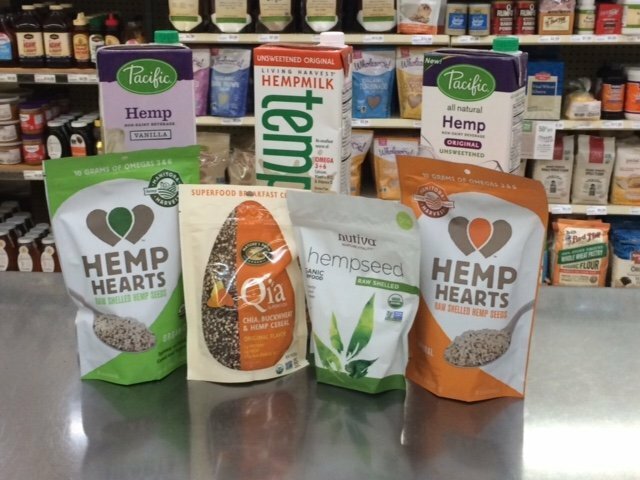 There are a number of commercially produced food products made of hemp seed including hemp milks (non dairy milk substitutes), pastas, snack bars, cereals, vegan and vegetarian protein meal sources and powders, and oils. Hemp does tend to have a slightly higher cost because of production issues. The US and state governments have grouped hemp into a category which classifies it as a drug in most all circumstances, despite it’s lack of any of the psychotropic effects of it’s cousin marijuana. There was a newer bill passed which allows states more jurisdiction on industrial hemp production. However, only 10 states in the US have laws allowing any production and then it must be tied to research purposes. Therefore, hemp products come with a higher price tag as most available in the US are imported from Canada (http://www.naturalnews.com/031334_hemp_seeds_nutrition.html#) where it is legally grown. Hemp is actually quite sustainable as a food source and also as an industrial fiber source. Hemp has very little to no additional fertilizer requirements. It also returns approximately 70% of the nutrients it uses from the soil (http://www.pacificfoods.com/). Not only this but it has a better cold tolerance than most plants and handles fluctuating temperature very well. As mentioned, because of hemp’s high nutrition content, it is quite the super food. For good reason there are a number of health claims associated with it as there are with other super foods. Hemp oil has an outstanding balance between 8 essential fatty acids including a nearly ideal balance between omega 3 and omega 6 fatty acids (http://www.globalhemp.com/about-hemp/hemp-foods/). Hemp seeds also contain all 9 essential amino acids used by the human body. As a vegan or vegetarian protein source it is quite the powerhouse. The seeds contain up to 35% protein which is very rare in a plant source. Hemp foods tend to be very easily digestible, causing little to no bloating or gas like other plant proteins sometimes do (http://www.thenourishinggourmet.com/2009/03/hemp-seed-nutritional-value-and-thoughts.html). Hemp also is found to be lacking phytic acid which is found in some plant sources with higher levels of protein. Phytic acid is commonly known to be the anti nutrient because it blocks nutrient absorption. Due to it’s high essential fatty acid content there are a number of health claims fighting for recognition. A diet with adequate fatty acid content has been credited for better skin and hair appearance and heart health among others. A number of health maladies have been shown to improve with a diet higher in essential fatty acids including diabetes, bipolar disorder, major depressive disorder, autism, adhd, lupus, hypertension, rheumatoid arthritis, osteoarthritis, peripheral vascular disease, peripheral arterial disease, pneumonia, and coronary artery disease (http://www.greenmedinfo.com/blog/61-health-benefits-omega-3-fatty-acids). Hemp seeds have a mild nutty flavor. Hemp oil is a green color and has a mild nutty flavor as well. It does not have a high heat tolerance so is not ideal for cooking but can be used in dressings or smoothies quite well. Hemp protein powder is also available. To me this adds an earthy flavor to whatever you are making. Be aware that hemp protein powders often have a high fiber content so if you are not used to eating so much fiber this may be an issue for you. Or if you are looking for a fiber supplement, a hemp protein and fiber supplement may be something to consider. Basically, hemp is a pretty fantastic addition to your shopping list. It is naturally gluten free and vegan making it compatible with many different special diets. You will of courseneed to check specific food products made of hemp to determine specific product safety. 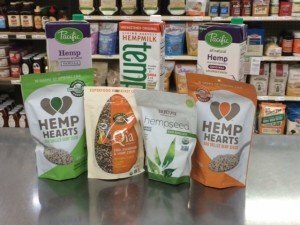 My family has been drinking hemp milk as our primary “milk” for several years. We prefer Pacific Hemp All Natural Original Milk but the co-op also carries other varieties as well. I like that it has a good amount of essential fatty acids (unlike rice milk) whichmakes cooking with it easier. We started using it due to a casein allergy in my son. I have tried many different “milks” and this is by far our favorite. Below I have included a couple recipes for you to try using hemp as a food source. Add all ingredients to a blender and blend until desired consistency. If you use hemp seeds you will not obtain a fully smooth texture. Serve immediately. Preheat your oven to 275 degrees. Line two baking sheets with parchment paper or a non stick baking sheet. Combine the dry ingredients in a large bowl. In a saucepan, combine the wet ingredients and heat until just starting to bubble. Add the wet ingredients to the dry and combine well. Pour the mixture onto the two baking sheets, dividing it equally. Bake for 45 minutes. Cool completely before consuming. If you want this recipe to be gluten free, please ensure that all ingredients are gluten free. Wendy Leonard-Richardson is an Ohio native. She spends her time homeschooling her two children, gardening, running, taking road trips, and reading. She loves to read any great story out there and is active in the indie author community.